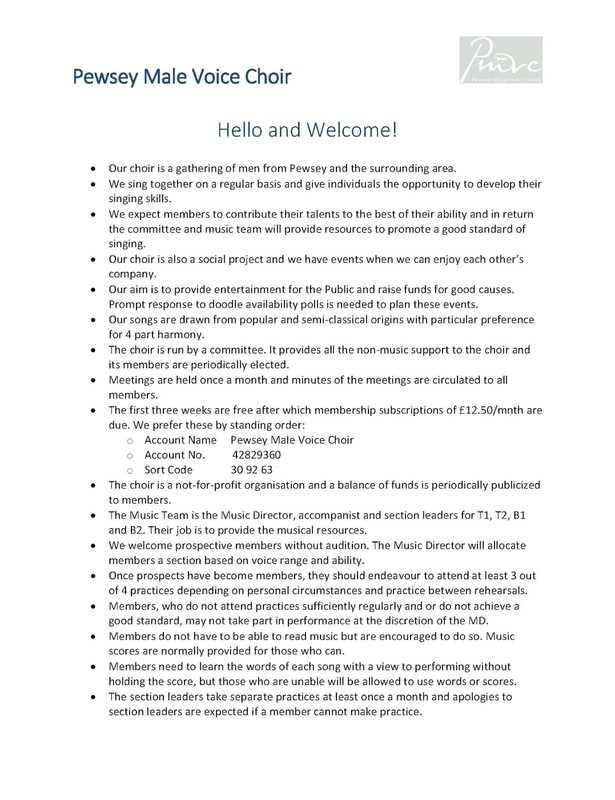 If you wish to join the choir, rest assured you will be very welcome, please just use this form or come along to any practice session (usually Mondays 7:00pm - 9:00pm in St.Johns, Church St, Pewsey). We use Google Drive to poll availability in advance of potential engagements and for storing Practice Tracks all Photo Albums. All securitised for members' access only.